The next time that you’re feeling like you want to pop some tags, consider checking into Goodwill’s newest contribution. Aimed at techies and nostalgic gaming enthusiasts, The Grid is chock full of old-school offerings. From games to hard-to-find cords, this store combines the wide breadth and scope of Goodwill’s donations with the indie zest of a local computer shop to make one killer spot to snag gently used or downright retro gear. 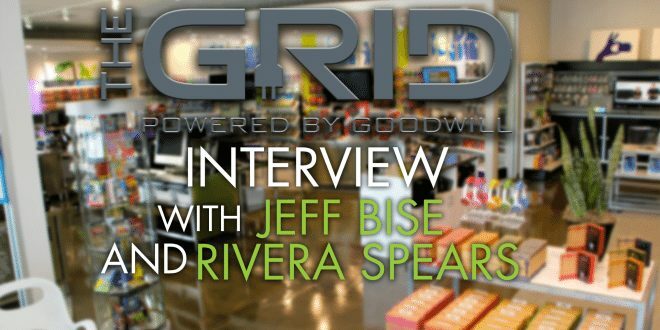 We caught up with Goodwill’s Regional District Manager in North Carolina, Jeff Bise, and The Grid’s Store Manager, Rivera Spears, to learn more about this one-of-a-kind gaming haven. Read the entire interview at Gizorama.